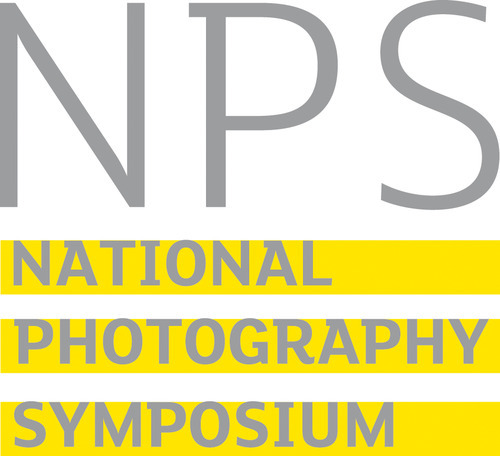 The NPS presents an up to the minute review of current issues in photography. This programme is in a state of continuous development, so please check back or follow @RedeyeNetwork on Twitter for the latest. 5.5.11: Added speakers Simon Brown and Pete Jenkins. Nick Dunmur can’t attend unfortunately. 3.5.11: added Restrepo showing; added speakers David Moore, John Stoddart, Karen Strunks, Florian Koempel, Patrick Henry, Dean Chapman and Stephen Snoddy; chairs Paul Lowe and Paul Herrmann; link to Light Night. Small changes to times. 21.4.11: added speakers include John Davies, Clare Grafik, Karin Bareman, Andrew Wiard and Anne McNeill. Some changes to the programme and estimated times added. Hotel details expanded. Most of the speakers named below and times are now confirmed. Note that occasionally speakers have to cancel. Full biographical details will be published shortly. The programme will also include an opportunity to visit the new location of Open Eye Gallery, with whom Redeye are working closely on Look11 and other future projects. In addition there will be plenty of opportunity for networking and socialising. Ticket holders are offered the opportunity to show their work in a 15 minute slot. Further details when you book. Friday 13 May 2011: register from 14:00 for 15:00 start. 17:00 to 22:00: opening of Look11 festival. Saturday 14 May 2011: register from 9:00 for 9:30 start. Ends 20:00. Sunday 15 May 2011: register from 10:00 for 10:30 start. The timetabled symposium ends at 12:00, with a walk and film showing till approx 17:00. Accommodation: There are a few reduced price rooms for people attending the Symposium at Ibis Liverpool, 27 Wapping, L1 8LY. £79 per room for Friday 13 May; £99 per room for Saturday 14th May. This rate is based on single occupancy and breakfast is included. An extra £5 per person per night for double occupancy. Please call 0151 706 9800 and quote group reference number 136266. This session reveals something about the way in which the British state has used and continues to use photography to protect its interests. Sara Jayne Parsons “Desert Visions: Gertrude Bell and the framing of Colonial Iraq.” Gertrude Bell (1868-1926) was a British diplomat, archaeologist, linguist, photographer, and, some might say, spy. She was instrumental in the political and cartographic formation of modern-day Iraq. Sara will give a brief introduction to Bell’s photographic work and the problems it presents as part of the visual framing of Iraq by colonial interests. Gary Austin formerly worked for the armed forces supplying the UK intelligence services and is now a photographer investigating surveillance and privacy. He will outline some of the ways in which the intelligence services use photography. David Hoffman talks about How the Met police Forward Intelligence Team has morphed from photographing football hooligans into a secretive unit running its own hidden database and with its own political agenda. Over the last 5 years Birmingham Central Library has been involved in acquiring extensive archives relating to the life and work of key British photographers including Paul Hill and John Blakemore. It has also been working alongside Daniel Meadows as he archives his life’s work. These experiences have highlighted the need for greater dialogue between mid to late career photographers and collecting institutions and the need to develop a model of best practice that would enable photographers and institutions to work together to help preserve the nations photographic heritage. This talk will explore some of the early ideas resulting from this work. Pete James, Head of Photographs at Birmingham Central Library, is responsible for one of the UK’s national collections of photography. He has curated exhibitions of historical and contemporary photography in and beyond the UK and is published internationally. Paul Hill is a photographer, writer and teacher and and has worked tirelessly to spread the appreciation and understanding of photography through his books such as Dialogue with Photography and Approaching Photography, and his widely admired study centre The Photographer’s Place. He has received numerous awards in recognition of his role in British photography, including a Fellowship of the Royal Photographic Society, a fellowship of the Hasselblad Foundation, and an M.B.E. In November the Prime Minister David Cameron announced an independent review of Intellectual Property, Chaired by Professor Ian Hargreaves, with particular reference to barriers to growth. The review is due to report around the time of the National Photography Symposium and this session will explore some of the findings and implications for photography of the Hargreaves review. Ian Hargreaves has been offered an invitation to speak, but whether he can do so will depend upon the timing of the review publication (expected some time in May). What should or might be the role of a centre of photography? What form should it take? Should it be physical or virtual? Who is it aimed at? This session considers recent attempts in the Scotland, Wales and England to set up centres of photography, and compares this to the experiences of other countries and disciplines. Karin Bareman, Dutch photographer and writer, will discuss the simultaneous establishment and rise of the four photography centres in The Netherlands during the last 10 years, i.e. Foam, Huis Marseille in Amsterdam, Nederlands Fotomuseum in Rotterdam and Fotomuseum in The Hague. Can photography organisations work together better to safeguard ethical and “fair trade” photography and increase the perceived value of high quality professional work? Andrew Wiard outlines Pro-imaging’s work on the Artists’ Bill of Rights for Competitions, which aims for the use of fair rules for all photographic competitions. Florian Koempel, Legal Counsel at UK Music, outlines the campaigns to protect the work of musicians and the lessons that can be learnt in other disciplines. Pete Jenkins discusses joined-up campaigns between photography and other disciplines. A first chance to walk over to see Open Eye Gallery in its new setting of Mann Island on Liverpool’s waterfront. After an introduction by the gallery’s director, Patrick Henry, there’s the chance to talk further about the issues raised in the previous session “Imagining the photography centre of the future” with the panelists. KEYNOTE SESSION 2: Dornith Doherty‘s work is concerned with the relationship between human agency and the natural environment. Her latest project, Archiving Eden, explores the seed banks that act as a botanical backup system in order to allow reintroduction of species should a catastrophic event affect a key ecosystem somewhere in the world. She uses x-ray photography and collage to create exquisite studies of these preserved seeds and plants. Prior to that, Rio Grande: Burnt Water/Agua Quernada explored the life and landscape of the Mexican river with assemblies of natural specimens and cultural artefacts. Dornith was born in Houston, Texas and received a B.A. from Rice University in Houston and a MFA in Photography from Yale University. She currently resides in Southlake and is a Professor of Photography at the University of North Texas and a member of the Board of Directors of the Society for Photographic Education. She is a recipient of grants from the Fulbright Foundation, the Japan Foundation, the United States Department of the Interior, the Indiana Arts Commission, and the Society for Contemporary Photography. Her work has featured in over 60 national and international exhibitions. At least six English photography organisations lost their Arts Council funding on 30 March. In this dramatically pared down new landscape, what are the priorities for public funding? How can resources be shared and the knowledge and archives of the threatened organisations be preserved? John is an independent documentary photographer concerned with political and social issues as reflected in our changing urban landscape. He studied photography in Nottingham and after graduating in 1974 he began to explore the rural landscape of the British Isles 1976-1981, published in ‘Mist Mountain Water Wind’ 1986. In 1981 he first started to document the urbanised landscape from high vantage positions during a one year Research Fellowship at Sheffield School of Art. He then moved to Manchester where he began to photograph key industries and the social landscapes left over from the Industrial Revolution. The photographs from his 1987 book ‘A Green & Pleasant Land’ became one of the Photographers’ Gallery’s, London, most popular touring exhibitions. In 1984, after his photographs were featured in Creative Camera magazine, he was invited to work in Berlin on the International Bauasstellung architectural exhibition and book project. Since then he has continued to be invited to work on numerous landscape and urbanisation commissions and publications in France, Italy, Spain, Holland, Belgium, Portugal, Germany, Austria and Switzerland. His early European work was published in ‘Cross Currents’ 1992 with three further monographs commissioned and published in France. In 2006 a selection of his work was published in the book ‘The British Landscape’, with a major retrospective exhibition launched PhotoEspaña in Madrid. He was short listed for the Deutsche Börse Photography Prize 2008 for this work. In 2001 Davies moved to Liverpool where he currently lives. In honour of the great Liverpool-born photographer Tim Hetherington, killed in Libya in April 2011, we have arranged with Picturehouse at FACT and Look11 a showing of his extraordinary film Restrepo, winner of the Grand Jury Prize for Documentary at Sundance 2010, which chronicles the deployment of a platoon of American soldiers in Afghanistan’s Korengal Valley. ** The showing takes place at FACT which is approx 7 minutes walk from The Bluecoat.